The ideas of Communism have always been a landmark moment in the study of political theory, however apart from the major leaders in these areas, often the effort of local champions for the cause are dismissed. Luckily for me, I had the chance to read the political papers of Fred Westacott, a communist and political activist in 20th Century Britain at the Manuscripts and Special Collections in Kings Meadow Campus. During this politics placement, my task as an Archives Collections Assistant was to mainly organise the political papers of Fred Westacott, as well as decipher their intended meaning and audience. The task ahead was great, with numerous leaflets and flyers being acquired by the University of Nottingham’s Department of Manuscripts in 2001, however it certainly was interesting. Flyers on communist events held for fundraising, on key speakers delivering information to the public as well as attacks on the actual governments of the time were extremely enlightening. The first job was to help elaborate on the already existing catalogue of papers, a task that was very much complimented by the first year modules as a History and Politics student. 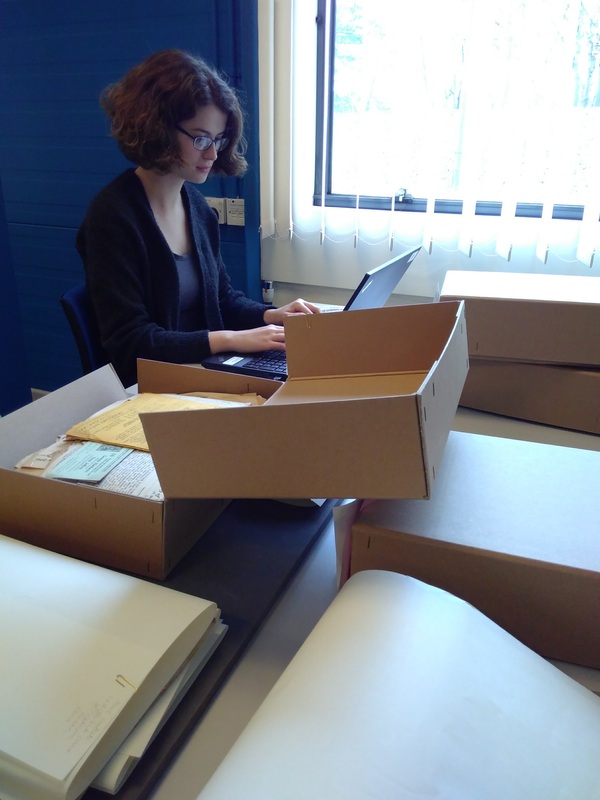 The donation of these political papers was indeed a challenge to organise, but the documents themselves made it all worthwhile. Next, came the task of organisation. 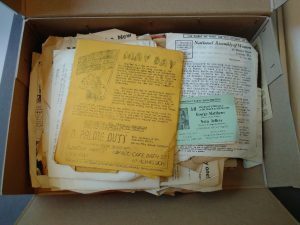 Fred Westacott donated pamphlets, newspaper articles, his own personal speeches and much more and once again these needed to be made accessible for the public. To start this task, I divided the papers into subcategories such as pamphlets on the topic of peace. With such numerous amounts of documents to be sorted, I certainly needed the whole time of my placement to get through it. The organisation of his political pamphlets was also a thorough task, giving a real insight into the exciting world of manuscripts, where history comes to life at your fingerprints. Volunteering can be an excellent mention to have on a CV. A cliché reason I know, but this volunteering experience gave a real insight into a professional environment that I had never experienced before. Not to mention volunteering is typically flexible, unlike internships, allowing for your studies to come first before all else. Even if you are not thinking of joining the heritage sector, the skills I have learnt here have certainly expanded my horizons. Sorting through the political papers improved my organisation skills, as well as my ability to prioritise, as certain tasks needed more attention than others. Volunteering also meant dedicating an allotted period of time to these tasks, showing time-management and determination. Soft skills like are extremely attractive to employers, meaning volunteering can really help you get where you want. My time at the Nottingham Manuscripts and Special Collections has been invaluable. With amazing staff and the opportunity to work with primary sources, it has certainly helped my confidence and my studies, so what are you waiting for? 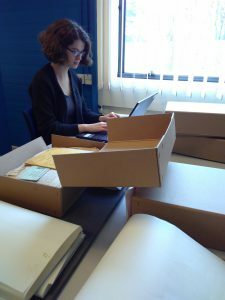 For more information about Manuscripts & Special Collections, including how to visit, please see our website. 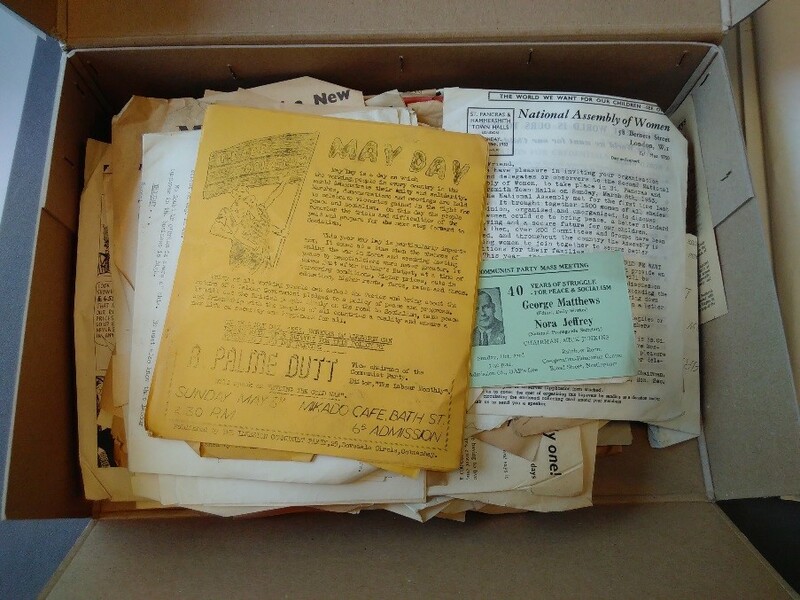 A description of the personal and political papers of Fred Westacott (1916-2001), communist and political activist, is available online.